A Westerville man was indicted by a Seneca County grand jury Wednesday in connection to a car being struck by a bullet in Tiffin. John R. Moyler, 24, was charged with two counts of complicity to attempted murder, both first-degree felonies, and two counts of complicity to felonious assault, both second-degree felonies, according to court records. The grand jury specified Moyler had a firearm while allegedly committing the offenses, according to his indictment. Moyler was served with the charges by Seneca County Sheriff’s Office Thursday afternoon. 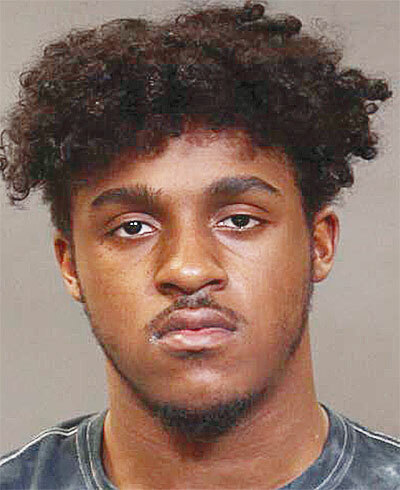 About 6 p.m. March 27, Dylan R. Descant and Michael A. Mason went to Tiffin Police Department to report being shot at and explained they were leaving their St. Clair Street home about 5:30 p.m., a release states. They noticed a dark gray Hyundai following them closely as they crossed the Perry Street bridge. The vehicle that was following the men pulled in front of them, blocking their vehicle, at Beechwood and Westwood drives, the release states. The driver and passenger got out of the second vehicle, and the passenger fired at least one shot at their vehicle, it states. The bullet struck the windshield on the driver’s side, and two 40-caliber shells were located near the intersection, the release states. Lt. Mark Marquis of Tiffin Police Department had said the case for the other occupant of the vehicle was to go to Seneca County Prosecutor’s Office and be presented to a grand jury. A warrant would be issued upon indictment, he said.